Well, here’s some good news: Unless your blog topic is last night’s baseball scores or this week’s hurricane, there’s income potential in those old posts yet. If your posts have evergreen, highly useful information, they can be turned into paid products. With a little effort you can recombine, reuse, repackage, and repurpose that old material into new forms. And people will pay money for them. Yes, I know. It’s illogical — why don’t they just go back through and read your blog for free? Happily, some people would prefer to shell out their hard-earned cash for a handier, fancier, or better-organized slice of your content delivered in a different format. eBook. Once you’ve accumulated 50-100 posts or so, you have plenty of material you can repackage into an eBook. Probably two-thirds of my first ebook was adapted from my first 75 blog posts. You can slice and dice your stack of posts different ways, too, using the same post in more than one eBook. Create a “20 Best Blog Posts” eBook, for instance, a “Best of the Mailbag” for the reader questions you answered, or several short eBooks on a few of your most popular topics. Teleclass. Print out a few blog posts and read them on a phone call, riff on them a little bit, take some questions from the audience, and you’ve got a teleclass. Charge a fee, or make the class free to draw a bigger crowd. Then, sell other products to your teleclass audience live, and sell the recording of the class on your website. You can also use the recording as a freebie incentive to help stimulate sales of higher-ticket products. Webinar. Add some eye-catching PowerPoint slides to that teleclass, and now it’s a full-fledged Webinar — and worth more money — while still basically just recycling your blog posts. Don’t forget to make limited-time product or service offers during the broadcast to rake in additional sales. Don’t have another product? Presell the next Webinar you plan to do off another set of your old blog posts. Paid speaking engagement. Perform that Webinar before a live, in-person audience instead of broadcasting it over the Interwebs, and you’ve got another revenue source. Start doing free talks, get some experience, and then see if you can find paid work. This recently happened to a friend of mine — he gave a live talk that essentially recycled a few of his recent blog posts, and was immediately told by a professional speaker present that he could command $5,000-$8,000 an appearance if he wanted to hit the pro-speaking circuit. Ka-ching! One-on-one mentoring. Some people read your blog, but they just don’t get it. They can’t apply the knowledge you’re sharing to their own lives. They need personalized help implementing your teachings. String your blog posts together into a course, spend a few hours talking through your materials with them on the phone, customize your advice to fit their circumstances, and charge a premium for granting one person your undivided attention. Group coaching. Instead of spending a few hours on one person, take the same information from those blog posts you use in individual mentoring and teach them to a group of 10 or 12 at a time. You can charge a more affordable rate, but your hourly rate goes up because you have more participants on the consulting calls. Group coaching is popular because it’s a way to get personal access to an expert without paying the individual-coaching rate. I recently introduced this and immediately sold out four times as many slots as I usually sold for personal mentoring in a month. Tape these sessions and you’ve also got a set of recordings you could edit down and sell at a package price. PDF report. Boil down the gist of the blog posts you used to create your presentation into a report that sums up your key points and you can charge more, both live and when you sell recordings later. The report can also be used on its own as a freebie to drive signups to your email list. And once you build a list, you can sell stuff. The report is a major money-enabler. Go back and link old blog posts to new offers. Once you’ve created those new eBooks or Webinars, you can turn old blog posts into perpetual sales-referral machines by going back and adding links to your new products. Prioritize your most popular older posts for link-i-fying, then try to go through your whole blogroll as time allows. Charge micropayments. Think you’ve got some great older posts? Go back and place them behind a micropayment paywall, where readers can see the top free, but then have to pay $.99 to read the full post. There are a growing number of providers that can help you automate this process, including well-known names such as PayPal Micropay and Payments.Amazon, as well as many startup services. Watch out as many charge steep fees — one of the cheapest at the moment is CashSender. Repost in your membership community. If you reorganize your blog posts under theme topics, you can present them as courses inside a paid membership group. The more content you have in your community, the easier it is to attract and keep those paying members, who’ll appreciate the convenience of not having to hunt through your blog for information piecemeal. Audition piece to get paying gigs. If you’re interested in adding some blogging-for-hire to your resume, you can position your blog as one big “clip” to entice paying clients. Add a “hire me” tab to your blog, make sure your site has a clean, uncluttered design and your posts stick to your niche topic. (That one you wrote about the funny pig video on YouTube? Delete it.) Then target some company blogs in your subject area and start inquiring whether they need a paid blogger. Rewrite and resell. Once you’ve written about a topic on your own blog, it’s usually not much work to rewrite it for a paying market. Throw a piece of breaking news into the mix that adds a new spin to your original post, go back to your notes for a few new quotes or additional points, find a new related link or two, give it all a light rewrite and presto — a whole new post you could sell to other blogs. Don’t be an article spinner and have some robot replace all your adjectives with hilariously inappropriate ones and call it a rewrite — write a completely new post on your topic. It usually takes me maybe 15 or 20 minutes. Do you have cash sitting in your archives? Remember that brand-new readers find your blog all the time — and they’ve never seen your older stuff. So, do your readers (and yourself) a favor and scoop up your best older posts and turn them into a new, paid product. How have you turned your “old” blog posts into income? Leave a comment below and tell us your technique. I guess reusing your old posts is a great idea. The reason behind this is when one writes a post he is very much writing the content for a specific title and not the theme. As time goes by when you later check your archive you understand that what always suits your fancy. Not only you can reuse the content but you can even understand what excites you, your writing style, and how you have developed. Right on. When you look back on older posts 100 posts later, you also see connections to things you wrote after that time and see better how they could be grouped to deliver something useful. @Carol – you wouldn’t happen to know a good plugin for creating an archive page on the blog, would you? Going back into old posts, all of them, and linking them to new and old posts alike is an amazing way to profit on these old articles. You’ll also get google juice for it. Innovative post, loved the different media ideas. Fact is people learn differently. I’d have to look more into that, but I like the idea a lot. I’ve revisited old posts, and rehashed them to use as guest posts. I’ve thought about packaging them into some ebooks/reports, but just haven’t gott on to it. Sounds like another project is looming…. You just hit the nail by the head. Blog achieve are goldmines. I discovered some great posts that were lying fallow on my archive a few weeks ago, and was thinking of what to do with them. I’m glad I came across this post. You’ve just given me a great idea, especially the group coaching and pdf report method. Thanks for taking out time to make this meaningful – I gained so much. This is brilliant. I think I’m going to implement the “Hire me” tab! It just takes a moment, and what have you got to lose? It starts spreading the word that there’s more to what you offer than just the blog posts. Love this! I already do some of these things, but I really have to focus on an book – “e” or otherwise. I friend of mine turned her blog into a book and the results have been astounding! THANKS! Really really nice ways to produce new content from old content. eBooks are where it’s at! Carol, this post is a goldmine of useful information! I was hooked the moment I saw the title. I’m not to the point in my blogging career yet where I feel I have enough goodies in the archives to package it like you mentioned (my blog is only about two months old), but I will definitely keep these tips in mind for the future. Brilliant, simple, and while fairly obvious, I hadn’t thought about most of these methods. Thanks for the great tips! Repurposing your writing is a great way to find hidden treasures. I recently dug up old, unpublished writing and have submitted magazine queries and even full manuscripts from writing that was already there. Thanks Ahlam — congrats on the gig! I write a tech curriculum for K-5 and have a blog to go along with it. When I updated the curriculum this past year, I added some of the better blogs as ‘insider info’ sort of stuff. It changed the tone of the curriculum from dry lessons to pithy timely ideas. Also, if you happen to have a book through a print-on-demand service (like Createspace, Lulu, Kunaki, etc), and you don’t have the original Word file, you can have it digitally scanned through http://www.BookScanning.com. It’s another good way to get those golden nuggets out of something you’ve already written and published. Another timely post, as usual. Had an argument with myself today about needing to create a new product , but not wanting to take weeks to do it. Although I already re-purposed several old blog posts for a free e-book, I hesitated to do a paid product from old posts because it feels so… cheesy. I couldn’t imagine why people wouldn’t just read the old blog posts (I do!). Thanks for getting me off the fence on this one. Never forget that getting the material organized and into a user-friendly format is valuable! Sometimes I think people feel it’s “sleazy” to repurpose, but in fact there’s a lot of value to the reader (or listener or viewer) in getting the information in a more digestible format. Carol – I wanted to inject a bit of reality into the ka ching mention regarding professional speaking. To get $5,000 + for speaking engagements requires a full-time commitment to the speaking profession, as well as years to develop the skills and reputation to command those fees. Not only are you competing against seasoned speakers, but also plenty that will do the job for less – or free to promote their book, as one example. It’s not an easy sell. Meeting planners today can be very selective – and they are, often sifting through dozens of speakers who have made the first cut – which is having solid video of them speaking live on their topic, testimonials from other meeting planners, etc. What I have found is good bloggers indeed are often good speakers because they understand their audience and how to help them. For those interested in speaking full-time, my suggestion is checking out the National Speakers Association as a means to shorten the learning curve. Our national convention is later this month in Anaheim, CA. Great advice! Sure makes writing an e-book sound much easier! And love the other ideas, too! Great post, and great headline. For number twelve, who would you pitch the article to for a paid post? I’ve thought about how some of my posts could be re-written, but I’m not sure who to submit them to. Suggestions? My general rule of thumb on that is the bigger the publication or corporation, the more likely they’d pay you a professional rate. Do you usually pitch it as a post or an article for the publication or corporation? Usually not either — I’d probably strip-mine the idea of it and write a new piece for a new market. Whether it’s a blog or article would depend on what they publish. Ok, thanks. It looks like the post on your blog today will help with this. I’m headed over there to check it out now. Thanks for the suggestion about packaging old blog post into an e book, for sale or as a free gift for a new opt in to your list. Definitely going to take a look and see what I can package. Thanks again. Very useful information at just the right time. Thank you! Two thoughts today: First, love the reminder that unless you have 100% click through (how cool would that be?) not every reader has gotten to all your posts. That means if you re-purpose, the info will be new to some and if not, still a refresher for others. Next, audio and video are gaining a lot of momentum these days so another way to re-purpose would be to use those old posts as audio or video scripts. Tons of people prefer to watch or listen over read so having options expands the possibility of people purchasing something. That area of technology keeps getting easier, so if you’re even half techie inclined, doing audio/video may be easier than you think. Haven’t done it myself yet, but it’s definitely on the to do list. Their are some wonderful tips here. A great business person knows how to monetize every aspect of their life. To the point where they are making money while they sleep! I did quite a long series last year which I am now looking to turn into an audio book. Thanks for the helpful tips! Our blog (www.comerecommended.com/blog) generates between 10 and 15 posts a week, and it’s pretty clear that the first page gets the lion’s share of viewers. It might seem illogical, but heck, you’re only giving people what they want, right? Hi Carol, love how you’ve incorporated the tried and tested methods and added some new ideas. The micropayments idea is really interesting. I’d love to give that a go. I ended up rejecting micropayments because I think it’s too annoying for visitors…but I know sites that are doing it. You could always just take your 10 or 20 most popular older posts and do it. I do think it’s an interesting model I’ll be watching. Audiobooks are a great idea as well. I find whatever format I deliver things in, people would like it in another one. So if you put on a live Webinar, somebody wants a transcript…and so on. If it’s an ebook they want an audiobook. Lol, guess that’s why we have to serve them all up! I like the idea of repurposing old content for an ebook, for a paid community, or a webinar. I’m going to look into it and see what I find. I love this blog. There is so much useful information here that I’m not sure where to start… But I will definitely figure it out, and definitely a new subscriber to this blog. The best thing if you’re just getting started is to sit down first and put together an overall blogging and/or marketing strategy. For example, what are the main topics that your audience is looking for and what are two ways you can promote your posts? Start small and grow. That way you aren’t just trying random pieces without a particular guide or direction. Yes,this is a perfect idea..turn your old content to E-books…but at the moment my blog is mere 20 days old…so don’t have much content…will be trying this at a later stage.. Outstanding post. I totally agree. I’ll add revisiting the topics and either writing new posts with a recent spin or updating the posts including updated monetization such as better affiliate promotions. You can also use them in e-mail messages or link to the posts from subscriber emails. It’ll likely be material subscribers never read before (probably best for newer subscribers). This post gave me some great food for thought. I’m leaving a few dollars on the table. That’s soon to change! Awesome piece of information. Definitely implement it in one of the above mentioned ways. Great listings…really the old posts can give a good return! What about an actual book? A great article and lots of comments with ebooks getting some love, but no mention of an actual, tangible, put-it-on-the-shelf book. Sign of the times maybe? The funny thing about that is print books are easier than ever to produce, yet the hang up for many seems to be the misconception that it has to take eons to write one. Drawing from blog posts is definitely a great way to write a book. Then one needs to assess their audience. Do they read more ebooks or print books? Also, which one will be easier for you to promote? Print books aren’t dead. They may not be the predominant format in the future, but for now, especially for branding and building authority, they’re a great tool. Great post Carol! That’s creative thinking. I know I may sound cheesy when I say that I don’t blog to make money but it’s true. But then again, why not earn some cash for something you like doing? You have very good ideas and I may just do some of those 12 things. I agree people do not go back to the blog posts written a year ago. We assume it they do but unless we bring it up they do not…Readers like journalists have ADD sometimes and we only read the hottest freshest content! I had to un-publish some content so I can make it a brand ebook for my PR coaching and even a personal development/mindset training for internet entrepreneurs. I think we often are afraid to turn into it cash because we do not value ourselves and I am glad you cleared the confusion of many folks! Wow those are great advices… Who would think that old articles are useless? Actually, I myself it very functional still even those articles that wasn’t published. 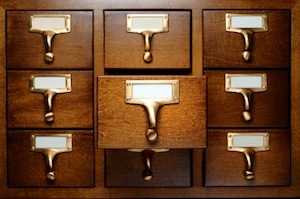 Very true and useful tips of reusing the archive. One good idea will be to filter older posts with the tag or category. Now you will have ebooks on various topics, if you happen to write on a broader topic like me. I have always thought about it but never gave it a serious attention. But I think I should do that soon. Thanks for highlighting various benefits as well. Nice to see your work on Copyblogger! Thanks for visiting it, Joel! Loved your article, Carol. It’s always nice to be reminded to think more creatively about ways to earn money doing what you love. And without re-creating the wheel. I’m wondering if there are lists available of online markets for selling blog posts? Not sure if you mean selling blog posts or REselling old blog posts. I’m not aware of any great resources for where all the paid online blog post markets are, though Susan Johnston has a broader one — The Urban Muse Guide to Online Writing Markets. Some of those markets are blogs. I’ve started compiling a list of markets that pay $50 or more (which includes my own blog)…but so far it’s pretty short. Happy to hear of any markets that are paying for blogs! As far as re-selling existing posts, I think given the Google Panda update and how duplicate content hits your search results, reselling is going to be sort of fading away as a good option. But remember you can always write another post on the same topic, which I find doesn’t take much time. Can be a way to earn from existing posts with a bit of additional effort. I’m thinking writing an ebook based upon my personal development blog for women and these are great tips because I wasn’t sure if old posts…blogging for 3 years btw before landing self-hosted site! Wow!!! I’m never expected that this is awesome..very informative for me and hopefully to others.. Thanks Carol! Keep on to post another goodies in future..^_^ Well done! I’ve been getting your blog updates for a while now. When I see advice like “teleclass” I cringe. Why? Because while I know what a teleclass is, I recognize that MOST people who have spent the last say 20 years writing may not be tech savvy. Intelligent and highly adaptable, but not familiar with the HOW TO aspect. So to me, seeing advice like “Teleclass…” I might also offer a quick couple sentences on HOW to do a teleclass, or an POD cast, etc. Otherwise, entire markets of people who WANT to use and do these wonderful things are left avoiding them. Remember, we all work, most don’t have time to investigate the HOW TO right off to figure out if they want to do it. If the purpose of the post was to educate people, then I believe it should educate, not offer teasers. Thanks for a great suggestion for a future post, Crystal! I’m sorry there wasn’t room in this post to also offer detailed how-tos on executing some of these formats. They’re really not very hard to pull off, though — do some Googling and don’t be intimidated by it, would be my advice. I have to confess that, as I have thought about this previously, the idea of repackaging old posts into eBooks did not appeal to me, but the point you have made about readers not going back and reading one’s blog and being willing to pay for this content in a handier format persuades me to rethink the matter. Your post is encouraging. After putting so much effort into my articles and giving away free stuff, it is good to have confirmation of the various ways to use the same material and get something in return. Love this.Am trying to finish one of my blogging books. I have a popular niche site in the personal development field where readers email me very often for advice, and I’ve started to create posts to answer the questions and allow other readers to comment. So my question for you is, although I LOVE the idea of a “best of mailbag” type book, do I have the legal right to use the readers’ questions for material? I don’t mean giving their names or anything, but is that “mine” to sell for my own profit? I like the 12 ways that you’ve showed in the article. Some of the 12 ways does look difficult to implement, but I think if you have quality articles in your archives, you can make use of it to make some money. Thank you for all the great ideas. I have looked at alot of these and am getting ready to pounce. It does take time build the library and then look at what value there is it. Great Idea! It seems by the comments some are on the fence about charging. However, if you make the price very reasonable and the subject is summed up in a concise way this would be a great source for anyone. Old posts are often ignored and there are so many golden nuggets of insight that new users are not aware of. This could be seen as E-cycling!